Java Variables are used to store the information about the programs. All the Java Variables are identifiers to memory location. Internally, all data are stored in memory location, each memory location is identified by using variables or the name given to the memory location address. In Java, two types of variables can be developed. Primitive Variables:Java Variables, The variables used to store primitive data like numbers, boolean values and characters are called as Primitive variables. Reference Variables:Variables used to store the address of another data or object are called as Reference variables. In Java Variables, the declaration of variable will be as follows. Java Variables Initialization helps in storing or arranging the values in variables. + is used for concatenation. System.out.println is used to print variables value. Datatype is used to store the particular data, while declaring any variable developer has to specify datatype to store the variable. Datatypes can be defined as two types as follows. There are 8 types of predefined datatypes. In java, there is no string datatype. To store string use string as user defined one. A method is a block of statements developed for reusable purpose. Method declaration syntax will be as follows. For more detailed overview on Click Here . Return Type specifies the output type of a function. The output type can be a number,text etc.. Method should be written inside class body and outside main method. Statements calling a method for execution is called “method invocation”. Inside main,method can be anywhere. A method can be called by any method. Main method is called as predefined method and sample method is called as user defined methods. The arguments are input to the methods. Arguments are optional for developing a method. Return value is a output from the method or result from the method. Return type indicates the type of the output. If the return type is void then the method shouldn’t return any value.Inside println statements we cannot invoke a method whose return type is void. If a method has to return a value then the method has to be declared with a return type,which defines the type of the value.For Example, if a method has to return integer value then return type has to be mentioned as int. If the method’s return type is void, writing return statement is optional.If programmer don’t write the return statements, compiler writes the return statements on behalf of programmer at the time of compilation. The arguments of the methods is used to read the inputs during invocation.The arguments are nothing but variable declaration. While invoking a method, if the method is declared using the arguments then we have to pass the values to the arguments.The value should match the type of the arguments. If the method is declared with the multiple arguments then pass multiple values.In such cases the values are assigned to arguments based on position. The scope of the variables defines from where it can be accessible. The scope of the variable is decided based on where the variable is declared. If we declare a variable within a body, such variables are called as local variables, the scope of the variable is limited to the body or context. The arguments of a method is also local to the method body. If a variable has to be accessed from various method of the class then global variables must be developed.The global variables has more scope and more visibility. One can set the visibility of variables and methods by using access modifiers like public,private,protected. //main method should have access modifier "public"
The members of the class can be provided access by using the access specifiers. The Access Modifiers defines the visibility level of the members. 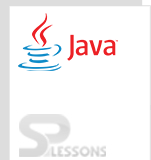 Java provides 4 access specifiers. The private access sets visibility up to the class level. The private member of a class should be used within the class where it is declared. The private members can’t be referred outside the class and the package. The following is an example for the private access modifier. In the above example, two classes A and Simple are created. A class will have private data member as well as private method. Here user is accessing these private members from outside the class that’s why compile time error will be raised. The default access specifiers sets visibility level up to package level. Any class of a package can access the default member. The default members of a class cannot be referred from outside the package. The following is an example for the default. In the above example, class A and method msg() scope is default that is the reason it can’t be accessed from outside the package. The protected members has a visibility up to package,but it can be referred from outside the package only through inheritance. Once a protected member is inherited to subclass it behaves like a private in the subclass. The following is an example for the protected. In the above example, The A class is public so it can be accessed from outside the package. Where as msg method is declared as protected that’s why it can be accessed from outside the class only by using inheritance. The public members can be referred from anywhere. If wanted to access public members of a class from outside the package,the class must be public. A class can refer another class present in different package by using fully qualified class name. Any class referred with package name and the class name is known as fully qualified class name. Import statement can also be used to import the members of a class from other package. 1)The private members has very low visibility and are highly secured.Public members has more visibility but low secured.Going from private to public, visibility increases,security decreases. 3)For inner class all the 4 access specifiers can be used and inner class can be static or non-static. 4)Outer class cannot be static and for outer class, either public or default access are used. 5)In a java file, only one public class or interface can be developed. In such case, file name should be public class or interface. The scope of public specifier is global. The String is the class and reference datatype in Java. Separate memory will be allocated for the Java Variables.